How would you like to have this as your backyard? Yesterday, we explored the Hill Country with my parents who are searching for a retirement property. We checked out Big Sky Ranch in Wimberley, Texas. 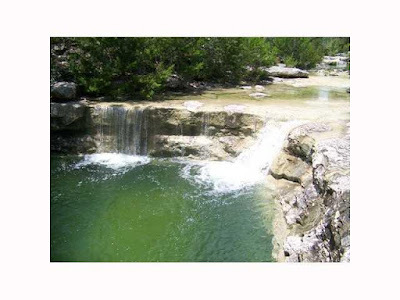 This swimming hole and falls border many of the lots. All you need is a towel and maybe a hammock.